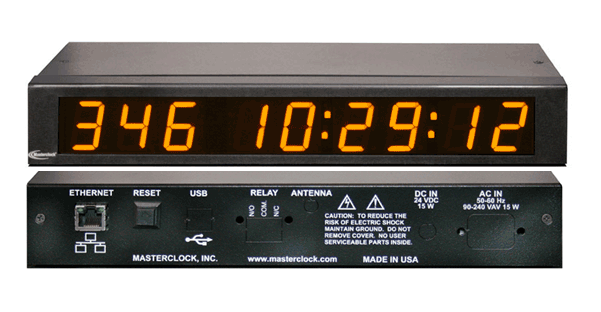 NTDS Series - NTP Digital Clocks - 1-inch (2.5 cm) — Masterclock, Inc.
All of Masterclock's NTDS digital clocks sync to any NTP (Network Time Protocol) source for accurate traceable time. Each unit configures to time zone and daylight savings time parameters and can be powered via PoE. WinDiscovery software is included.